Upto date with raws! Now the waiting! (I don't think I have ever read a novel more funnier than Sacred Ruins. The comedy is far better than A Will Eternal and others. The Slave Trading arc and Land of Reincarnation is the proof). The novel has everything we love in Chinese novels: Great humor, epic face-smacking and great action along with superb world building. But the best part is that the novel has actual plot unlike many other novels!! The story is set in modern world which is undergoing mutation. The novel retain its modern elements even though the world is turning into something archaic and desolate. Chen Dong never disappoints when it comes to world building. The mysteries are well laid out. The adventures are both exciting and funny. 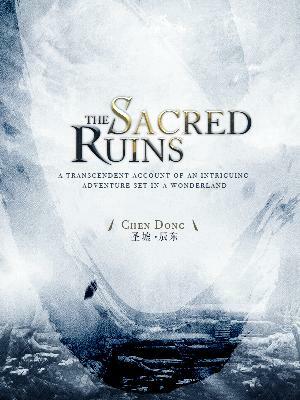 The Sacred Ruins read very closely like Chen Dong's other novels : there's a grand beginning (similar to Shrouding the Heavens), where the author provides a very visual description of how events started. Not a lot of action, but it is here that the author tries to provide an air of mystery as to the whole thing; also where most of the plot is built, foreshadowing is planted, etc. People would say that, hey, that's what xianxia is. But again, there's more trope and repetition than story telling going on. Better xianxia works at least provide a better ratio of story vs cookie cutter stuff. first review, had to write something. usually I dont bother writing review because I'm....... lazy. That said, this novel is not too bad. has a bit of slice of life pacing in the beginning to set up the story and build the world. and then things start rolling later through the story. Overall good novel. I didnt find it as comedic/wasnt laughing at all unlike other novels I read such as AWE, man that novel always brings a smirk to my face. Now on to the bad. IF UR WONDERING WHY THIS... more>> NOVEL HAS A RATING OF 3.8 but is top ranked on China's qidian rankings, well it has nothing to do with the story for the most part. I imagine, most of the reviewers leaving low scores is because the translation/translator (mike??) and the editor (chrissy??) is...... literal donkey sh*t. Now god bless their souls that someone is willing to translate it to english so im not gonna get too critical on it but the translation is dog sh*t. Its literal sh*t/poop/feces thats been wrapped up all nicely with a ribbon, and then mike/chrissy went ahead and sprayed some febreeze on it to get rid of the sh*t smell, and then offered that final translation to the general public. Unfortunately for them, no matter how much you try to make literal poop/sh*t/feces look pretty, at the end of the day its still sh*t and no sane people is going to enjoy reading through this sh*t translation. Now I know I sound way too critical, but i'am holding myself back, I wished I could just unleash a torrent of whiny complaints but thats not my intention with this review. If you disregard everything I say, then at least look at the result/facts, theres a reason why this novel has a 3.8 rating on novelupdates and its not cuz of the story. The review by the username "Trent" summarizes the way I feel about this novel's translation. This is a tentative review. Currently I would give this 4.5/5, it's got a few things in particular going for it. The first and most important is the pervasive sense of strangeness that fills the story. It's very easy to feel how alien everything happening around the MC is. This has the highest potential of any cultivation story I've read including my personal favorites A Will Eternal and Five Way Heaven (though the latter is not very far in its translation). I hope the author does not let down the great... more>> work he's done setting the tone and building the sense of mystery and wonder present in what I've read so far. The second is that, as of yet, this does not seem to be a level up style character progression. I don't mind that sort of plot device at all; it can be an easy way for the reader to track where the MC stands relative to important figures in the story, and it is appropriate lore-wise for many stories. But it just wouldn't fit here without a major tone shift or a different way of presenting it than the ningmai/jindan or qi condensation/foundation establishment sh*t.
Dock half a point for the slow introduction, which is also very wordy, that takes too long to get you hyped up, as well as a personal pet peeve: when people have seen like the eighth f**king worldview smashing thing in a day, at least a good portion would realize that clearly things are different for good, and it's time to start thinking about how to deal with it rather than be constantly astonished/afraid/in denial. Really, at least some people would care more about surviving than being all "woe is me" about it. Thankfully the MC has an appropriate attitude. The other reviews are extremely misleading. this novel isn't bad but it isn't good either. The author is trying to write a mystery novel but doesn't do it well, leaving you wondering what the heck you are actually reading. Alot of reviews are telling you that this is the 'most hilarious' novel ever but that is not true. There is actually also no mystery here at all, just that the world was damaged and it's slowly recovering which is what caused the "Apocalypse". some people talk about how the selling and auctioning... more>> of enemies is hilarious, but it's really not THAT funny as he essentially captures them and ransoms them back. There is almost zero bidding going on after the first chapter and it becomes more of a ransom exchange for the majority of the plot. not to mention that the translation are not even near the funny arcs yet so there is zero "funny" chapters right now. if you can power through the first 70 chapters or so, you will understand a little bit regarding what is going on, and the MC powerup/fighting arcs start. The fighting also occurs non-stop and it becomes tiring to read after 400-500 chapters as nothing else ever happens. He becomes so strong that he just beats everyone who comes even if they are 2 realms higher and all sorts of people from all over the universe arrives which later becomes a plot hole as they are not supposed to. The first 70 chapters are written in such a way that you will have no clue what you are reading, what is going on and it is completely boring as the characters themselves are also trying to figure out what the heck is happening, and the only thing happening in the first 70 chapters is a bunch of people fighting and killing each other for fruits, and the MC obtaining a breathing method that makes him stronger than the publicly acknowledged no.1 mutant in 2 weeks (?). this is also not a cultivation novel but an evolution novel, where the vast majority of people have to eat fruits and "evolve" their body into stronger realms. This also lengthens their lifespan but it is not immortal cultivation or seeking the dao. would I recommend this to someone else? The answer is clearly no. there are many other novels that are better to introduce to someone else. The start of the novel is boring. Doesn't grab your attention at all. What's worse, the author doesn't describe who the MC is or what he is doing. He seems to be running in the desert, so I expected him to be some type of cultivator or something, but much later it seems he was just a regular human. All you know about the MC is that he separated from some "goddess". The term was in quotes, so I wasn't even sure if the goddess was a female, statue or... more>> some spirit. Still, up to now, I am not really quite sure what his objective was in beginning. I saw some reviewers comparing the author to Er Gen, so I decided to continue. Story gets better around chapter 6, it seems to have some direction. Still the author seems to forget what he/she wrote. More annoying is the current enemy is stupid and the dialogue between the 2 is childish. But we are to believe that she (current enemy) has the power to command 100s of people to move. Who is he? How does he look like? What does he do? Where is he from? How did he come to be in this desert? What is he doing there? Does he have food and water? It feels like it was ripped out of the middle of some other novel, losing all the necessary context, so it is very hard to get into it. A GREAT novel written by a GREAT author..
Are you perhaps from the Legendary Race of MUSCLE BRAINS?! (With all that said. I think this novel has great potential and a novel that was not written "Half-heartedly". The story and setup is good. But the MC is an idiot. He says the world is getting stronger and he needs to get stronger and when he is given the opportunity he randomly gives it to other. The author says he is generous even a bloody idiot won't give them to anyone at least he will try one fruit but the MC didn't even take one. MC is an idiot who know what's going on but he won't take the chance given to him. The first part of the story is well-made. It is full of description that you actually have an idea of what is being talked about. It is rich and colourful yet it gives an air of mystery. It grabs your attention as it evokes curiousity. It is impeccable. But, it devolves into a generic xianxia in the later chapters. Certain scenes are similar like a broken recorder. They are repeatedly used that it gets boring. I kinda agree with asgard22's review, the translation and editing is a bit weird to read. There's a lot of Pong! sound effects instead of your usual Bang! Guns going off sound is clonk! And word choice has me baffled. Instead of saying someone wailed in pain, they used ululated... I had to google that to figure what it meant. Riven one's clothes instead of using tear? Google again. Onus instead of burden, google again. I could keep going... The difficult part of reading this is you get good sentences... more>> suddenly mixed with broken English, i.e. "Killing you just means is like swatting another fly to me." I have to admit I'm a sucker for a post-apocalyptic sort of story. And this one does start out precisely like that. And then it devolves into the typical CN-novel super-acute good fortune heaped on one person, which is then the typical trope for every other Qidian-published novels. But, seeing how I started reading, I continued. And then, the story evolved again, into something not-quite-excellent, but much better than what initially met the eye. The plot is simple: earth is going through an apocalyptic event, where animals evolve, and some humans, too.... more>> Our MC gets a stroke of initial good luck, and more and more are heaped unto him, in this new world. If I tell you any more than that, it would ruin the story. Go with me, here. First, this is a novel with a comedic tone, and heavily influenced by Japanese anime, meaning some of the jokes don't translate well into English, and the ones that do are less ROFL and more chuckle-chuckle, here and there. On the other hand, the version I'm reading is the cheaply-translated version on Qidian International, so it could just be due to the bad translation. Second, if you commit to reading to chapter 400, or so, you'll get a pleasant surprise. The initial bit of good luck our MC found randomly on a mountain that felt like super contrived on the initial read has more meaning. As it turned out, as history (of the story, itself) is unveiled, there is a reason that bit of good luck is located there, and not totally random. In fact, I can tell you that everything in the first 200 chapters that will feel totally random and contrived happening to the MC will make more sense, later on. Even side characters that are contrived makes sense once you get to chapter 400, or so. My advice is not to read this if you're hungry for comedy, as comedy is an art, and no work of comedy translated in a linear fashion will read as being that funny, to you. But, if you're easily satisfied with a few chuckles here and there, and enjoy a good -- but light -- adventure story, this might be for you. Despite the usual graphic violence of CN webnovels, this one feels like it's aimed to younger audiences. More the One Piece and Fairy Tail set, rather than the more cerebral FLCL kind of humour. It's good for a light read. It's worth more than 3 stars, but less than 4. Unfortunately, novelupdates doesn't allow partial stars ratings from individuals, or this novel would be a solid 3.5 from me. The first few chapters are an incredibly poor hook to the story but if you persevere past them this is a really good novel. This is one of the few xianxia that actually make me laugh. I suppose you could compare the feel of the story to the start of swallowed star but funnier while maybe not being quite as epic. This was an incredibly unique read among the increasing heap of predictable huanhuan/xian xia that we get nowadays. The translator really doesn't do it justice in carrying some of the humor over, but I'm not about to downrate it because QI can't get someone to do a good job. Another work from chen dong. As usual Chen dong loves putting some foreshadowing at the beginning, especially MC's background and his girlfriend. And I saw a review that complained about it. Guys it is part of foreshadowing. I understand many xianxia/xuanhuan where the author never explain mc's background. But we are talking about chen dong here. His other novels (divine grave/shen mu, world of immortal) also have the same foreshadowing. I actually really enjoyed this story when I first started reading it. However, after a certain point the story devolves into a loop. The "story" simply seems to be the MC faceslapping his enemies in front of the constantly awed audience. And someone always seem to be filming every situation around the MC and posting it online, so more of the audience can be shocked. And for some reason ALL of his enemies seem to do nothing else in their lives than to spend it in front of... more>> their social-media device waiting for the next post. This includes the beast-kings and aliens... sitting on a satellite and only appearing in front of the MC to slaughter him every time he runs out of enemies on earth. His track-record is killing all his enemies (except those that survive only to plot against him and die at a later time), yet he seems to be "trash" 90% of the time and therefore everyone underestimates him and loses. After which he becomes all of the audience's hero (for at least some sentences, after which he is trash compared to the next foe). I'm really disappointed, this had quite the potential, everything seemed kinda mysterous and the inhabitants seemed worried about the world's future. Then comes the breaking point, where seemingly EVERYONE apperently already knew what was going to happen and EVERY major company/institute/gang/random group have some connection to either beast kings or aliens since a ****** long time ago. Nothing in the story seems exciting anymore, the "plot" is very predictable - just with a new enemy party the MC gets to faceslap. This is amazing! One of the best novel out there! Good action, mystery, interesting world and plot all in one! Just read it, ignore bad reviews and just read it. This novel is not top 1 at qidian for nothing. Although this novel has a slow start, it slowly gets better as the novel progresses. It has its ups and downs, the cliche offending rich and powerful arrogant pricks then he has to hide and get stronger then when he levels up he does a reverse kill. Pros is the way he trolls his opponents, capturing and auctioning enemies off to their families. However I still give a 4 star because the power level gap is really exaggerated. He's at currently level 3-4 and people of level 8-9 want to directly kill him already and he has no op master and friends to help him. Romance wise also is lacklustre, even those who had the most chances of being waifu no.1 and no.2 either left his current area or left forgotten. Hell even his first time got taken by an enemy lady.